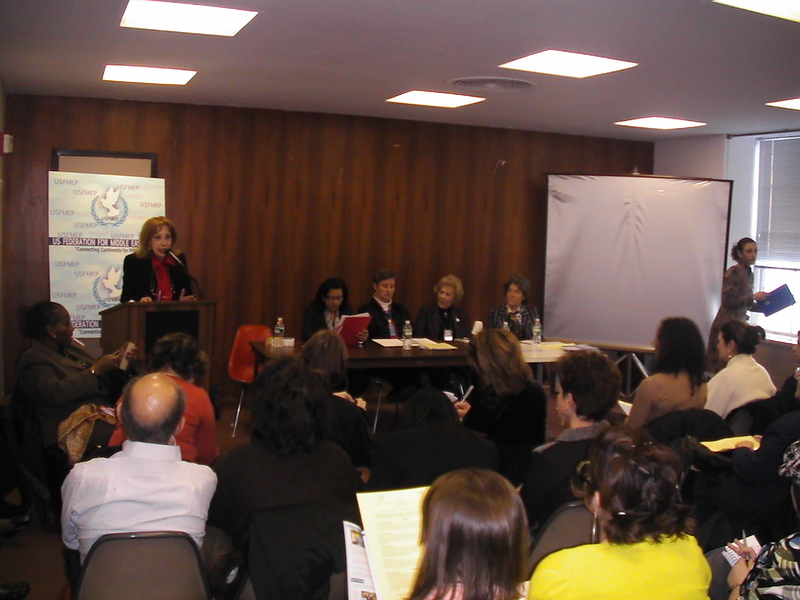 February 28, 2008 – This event brought together women from the three monolithic religions who share the same vision of a world free of violence, hatred and animosity. The discussion attracted an impressive number of attendees eager to partake in the intellectual exchange, share their personal experiences and add to the pool of diverse ideas, perceptions and hopes for the future. 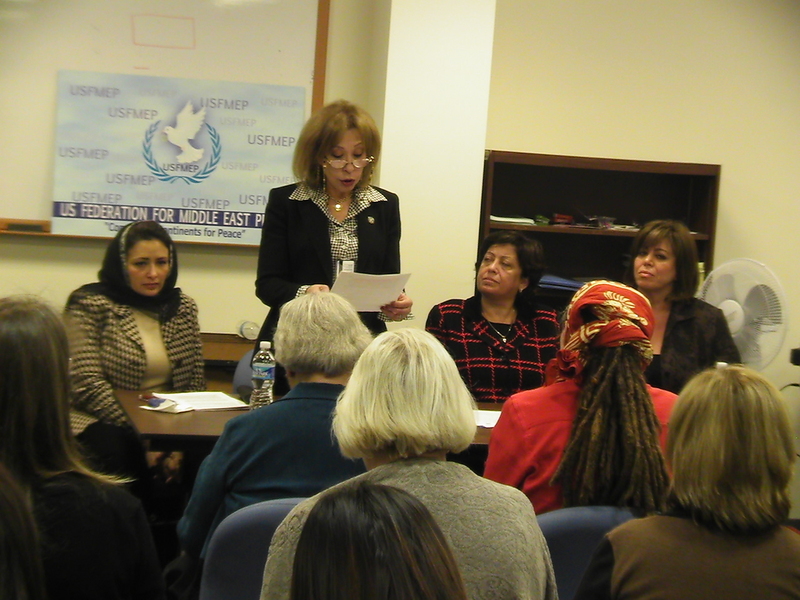 USFMEP President, Mrs. Sally Kader, opened the discussion with a call on all women to remain grounded in the hope that interfaith outreach is an essential step in bringing down the barriers that have been erected over the years between the peoples of different faiths and highlighted the importance of returning to the root message of co-existence that every major religion preaches. 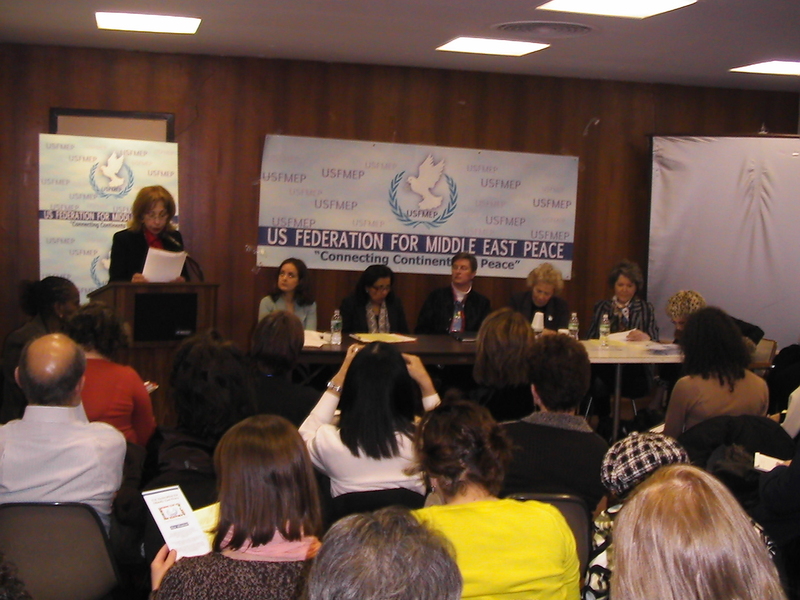 February 25, 2008 – This side event for the 52nd session of the Commission on the Status of Women (“CSW”) was moderated by USFMEP President, Mrs. Salwa Kader and focused on the media’s crucial role and responsibility in communicating information. One story can sometimes become the vessel for peace and change. How media outlets report can thus be vital in changing the lives of women for the better and in further inspiring them to strive for peace and gender equality.